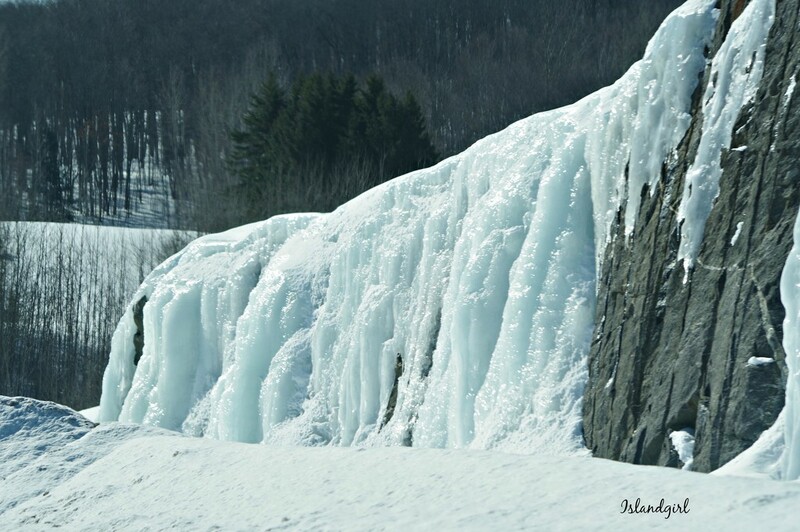 I liked these icicles we saw on our trip to Southern Ontario, they were built up on rock formations along the highway. Thank you for your many comments and favs on my photos, they are always appreciated. They look like a waterfall! It really shows how really cold it was there! Very beautiful! Wow... it sure looks cold! What an interesting photo. I like your composition very much. As a long time Southern California resident, it is weird to see a sheet of ice like that, hanging onto a near vertical rock wall. Oh my goodness - love this shot - going to take some big time warming to melt that! I really love checking out the Ice on our Winter trips!! Wow, that is some impressive looking ice. Great capture. Very cool- no pun intended! They look like a frozen waterfall. I just can't imagine this much cold, living where I do - fantastic image!